One Down – Two to Go! Here’s the first cake of my marathon cake making weekend! I am really pleased with the way it has turned out. It looks lovely and bright and fresh and as requested, I have given it just the slightest dusting of edible ‘pearl dust’, just to give it a bit of a subtle sparkle. I made a small bowl out of sugarpaste (with the addition of CMC to make it stronger) and decorated it with a band of sugarpaste pearl beads around the top. 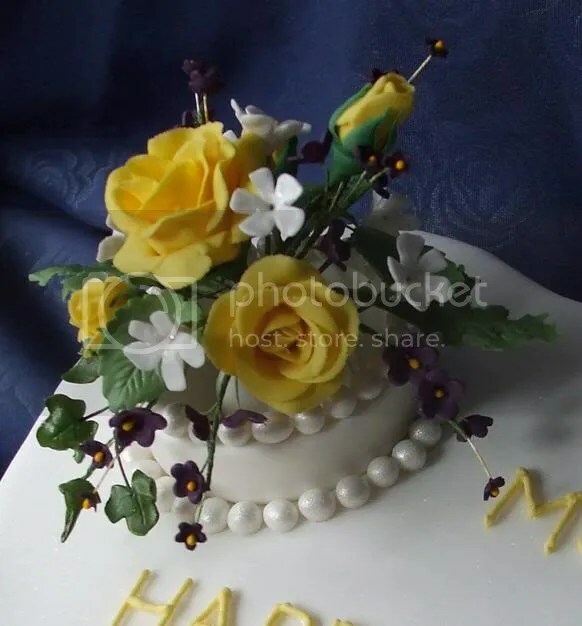 I then arranged a small bouquet of my sugar flowers into it and then placed it into a ring of edible sugarpaste pearls that I had set into the icing on the cake. 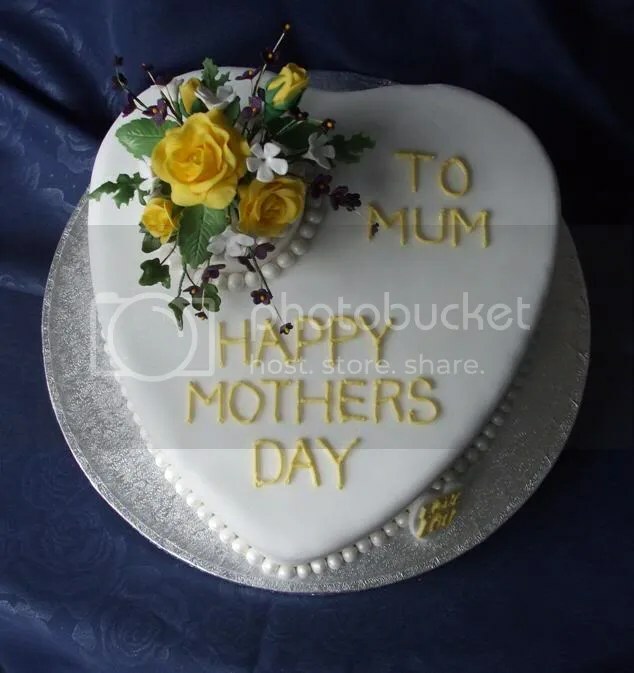 This means that the little bowl along with its flowers can be removed from the cake, in tact, and kept as a little momento. I have also surrounded the base of the cake with a band of edible sugarpaste pearl beads. Now I just about have time to draw breath before settling down to the next cake – which is about as far removed from the style of this one as is possible…the DJ deck.